Yep, it’s time for another entry in the highly popular Questions & Answers post series. It seems the more questions I answer, the more I receive! That’s totally fine of course as the whole purpose of this blog post series is to regularly answer all your eBay, eCommerce and other related questions and to publish them on my blog so that more people can read and benefit from them. 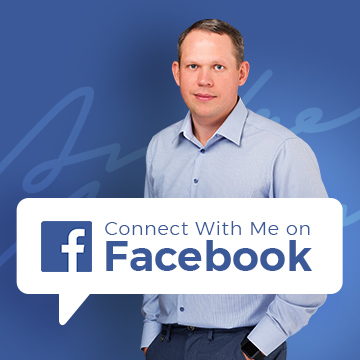 I have to apologise that I can’t publish all of your questions as there are simply too many! I do reply to every single question sent in via email though so if you have something you want to ask me, feel free to get in touch here. Do you lose out on VAT for imported goods? HK company selling from a UK based warehouse? Why are so many sellers not VAT registered? Are importing fees a business expense? How to start a successful eBay business with a brand new account? What to do with faulty iPhone chargers imported from China? Easiest way to calculate taxes on imports? Be aware of video game console scams on Alibaba! What to do with my eBay business during Holiday time? 1) Usually a UK business that is VAT registered will purchase from a VAT registered company and they will be able to claim VAT back on their purchase and then pay the 20% on the sale. So they buy for £8 plus VAT (£10), they can claim the £2 (20%) back. Then they sell for £40 inc. VAT (33.34 plus 20%). So the profit made is £33.34 minus £8 = £25.33 profit. However, if you are importing where no VAT is on the purchase, is the company going to lose out on claiming anything off the purchase simply because no VAT is there? I guess people import because prices are cheaper but will this be the case? 2) I know a supplier in HK and they have a dispatch warehouse in the UK. Since the registered address is in HK, should there be VAT on the sales of the products because they are dispatched from the UK and not HK? Obviously if sent from HK they may have duty and taxes billed at the end once received but sometimes they get through without any bills. But if sent from the UK warehouse then there is nothing expected at the end. So what is the correct method here? Is there a loophole for not paying tax this way? 3) Marketplace channels like eBay and Amazon are full of people who do not pay VAT. I think most people on there are suppliers who are based overseas and have UK warehouses or they are UK sellers who reach the UK VAT threshold and then dissolve the company and start a new business and repeat the process. Or they are normal businesses who think VAT is included in the marketplace fees because they are so high. Are there any sanctions to stop this method or is it perfectly legal and legit? 4) If importing goods, if you are VAT registered, can you claim the VAT, Duty, Import & Admin Fees back as an expense? These are all things I cannot get my head around. I am thinking about starting my own business but before I jump in and quit my job it would be good to understand all of this. Any help would be hugely appreciated. Thanks for your questions, I will answer them one by one. 1) VAT is charged on imports too. So the situation with imports is pretty much the same as with buying from local, UK based, VAT registered companies. There’s also a special Duty Deferment Scheme you can sign-up to with HMRC which allows you to NOT pay VAT each time you import goods but pay it once a month, when you do your VAT return. This can be great for businesses importing on a regular basis as you can free up your cash flow by not paying VAT each time goods enter the UK. 2) If they have a UK warehouse where goods are being stored, they should be VAT registered in the UK, by law. And if you’re a UK business, VAT registered, you will be able to claim VAT back on these purchases in the usual way, exactly as if dealing with a company based in the UK. If they’re doing something dodgy and are NOT VAT registered in the UK, you shouldn’t work with them as you, as a VAT registered company, could actually get in trouble by doing so. 3) Indeed, most people on eBay, Amazon, and online in general are not VAT registered but not because they’re breaching any laws. They simply don’t have high enough turnover, they don’t reach the VAT threshold and pretty much actively try to stay away from it (which is a smart move as I have explained in this Tax guide for eBay sellers). No, there’s nothing you can do to stop people being VAT free! That’s how VAT works and for new sellers, it’s really the only way to be competitive to some degree with large, established companies. Don’t forget that they’re still paying VAT when buying goods – they just don’t charge it on the final sale. 4) VAT is VAT and it’s not a business expense. You just pay HMRC the difference in what you take in and spend on goods. But yes; import duty and administrative fees are classified as business expenses and will reduce your taxable income just like any other business expense. I recently started up on eBay selling bikinis, I am making a couple of sales a day which is not what I intended, as I hoped to sell a lot faster. I am starting to think the competition is far too high in this category so I am currently trying to find another niche product that will produce more frequent sales. I recently bought a shipment of 1000 iPhone 5 chargers from China and out of around 50 sold so far I’ve had reports of 4 not working, one of which “blew up” in the socket. I’m very disappointed as I paid for the best quality, and I would be devastated if I caused anyone harm through faulty chargers. I really don’t know what to do… I have all these chargers sitting here, and a bill of nearly £2000 still to pay for the initial cost of buying the chargers. I’m scared to continue to sell them, but I don’t want to lose money. Is this a normal amount of faulty chargers or did I get a bad manufacturer? I took your advice and used an Alibaba supplier with gold supplier status. To import mobile phone charges from China and sell them within the UK, you are required by law to do CE testing to be 100% sure they’re safe to use. This process is not easy and definitely not cheap so my advice would be to just sell them off as a wholesale lot on eBay itself and just forget about them. Try making at least 50% of your investment back and just learn from this mistake and in future; avoid such high risk items. You can read more about various requirements on imports from China on Trading Standards website. I’m after a bit of help/explanation of how to figure out customs charges. I’m looking at buying goods from China (AliExpress) and having them delivered to the UK. I don’t understand how to calculate how much import duty and taxes I’ll be paying each time. Last week I paid $99 for 10pcs of lunch bags with free EMS shipping via Parcelforce – working out to roughly £58. I had to pay a further £23 to Parcelforce for them to release my parcel. At my selling price of £9 per bag I’m now almost at a loss now I’ve had to pay for customs. Next I’m looking at ordering £98 worth of children’s dresses (free EMS post) ($165) and would like to know how to calculate customs charges? First of all, take a look at my Importing from China guide where I cover how importing works in general, what taxes you have to pay and how to calculate them. If you want a straightforward answer on how much you’ll have to pay, use this online calculator. In most cases though you can simply use 25% as a ballpark figure on how much you’ll pay in VAT and import duty – 20% goes to VAT, 2-3% on import duty (depends on the products you’re importing) and 2-3% for courier admin charges. In this case you’re getting free shipping but if you have to pay additional shipping charges, make sure to include them when you do this 25% calculation, as tax is charged on the total price (shipping included)! My name is also Andrew and I came across your page when looking for information on how to safely purchase products from Alibaba. Your post was extremely helpful, and I was hoping I could run a couple of quick questions by you that would certainly make this process much easier. I am looking to purchase electronics, specifically gaming consoles, from wholesalers through Alibaba. I have been in contact with 3 different suppliers, all from Europe, with offers that seem too good to be true. All are gold members (though none of them have been for 3+ years) and only one of them (A company from the UK called “Gamesteam”) came up when I searched for their company in their respective countries’ business registry. One of the companies has provided me with their “official” documents, however, they originate from Hungary and Italy respectively and I cannot determine their legitimacy. Is there any other sort of research I could conduct to determine if these companies are in fact selling real products? Although I don’t plan to invest a lot of money in this purchase, I’d rather be cautious than lose a few thousand dollars over a scam. Thanks for taking the time to read this message and I really look forward to hearing back from you! Alibaba is NOT the place to go for branded electronics such as video game consoles! Even though these are not Chinese companies you have found, chances are still very high that they’re scam schemes set-up to make some easy money. If you’re looking for branded video game consoles in true wholesale, you’ll want to look for official distributors, in the UK, who can provide proper goods, with a UK warranty etc. Please be warned though – prices on Amazon UK will actually be cheaper than if you buy in small bulk from such distributors so unless you can buy pallets of these consoles, don’t even waste your time on this idea. There’s some money to be made with consoles but in the refurbished market, not brand new ones. If you’re lucky, you can find such suppliers in the USA, maybe even HK who deal with refurbished video game consoles and can make some decent profit. There’s simply no money in brand new consoles as the margins on them, even for giant online retailers, are very slim. I have been reading your blogs now for about the past month as I am in the process of building an online shop via eBay. I have found my niche and I am currently negotiating with a potential supplier who I found via Global Sources (thanks for recommending this site). 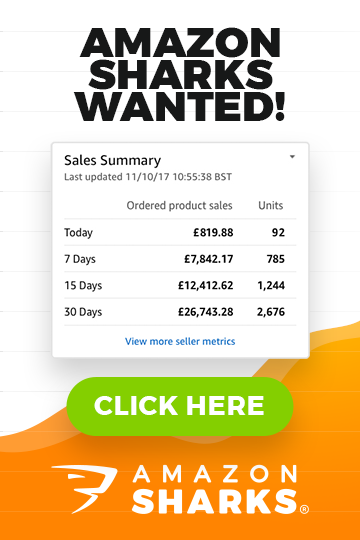 Supposing I get my business to a standard where it has regular sales being made online…What is to happen should I go on holiday for a week or two? To elaborate, presume that I am running the business on my own and I decide to go away. How does this work on eBay as I have a 2-3 day dispatch time for the products I sell and I’m not sure whether there is a way to let potential customers on eBay know you are away. I found the above really hard to explain but I’m hoping it makes sense to you. I really would be grateful for a response. By the way, keep up the good work as I think I speak on behalf of many people when I say I’ve learnt a lot by reading your posts. Thanks for your question, and no, it’s not stupid at all! It’s always best to cover every aspect of your business now rather than letting it become a problem later on. Whatever you do, DO NOT simply cancel your listings for the period you’re away just to start over when you come back. If you do this, you’ll lose all the statistics for your listings (sell-through rate, sales history etc.) and will have to start from zero each time you go on holiday! There’s actually a very simple solution to this problem, offered by eBay itself – what you do is simply put your eBay shop on holiday mode while you’re away, and eBay will hide your listings from public view for the time you set, so that no one can buy from you while you’re away and unable to fulfil orders. There’s also an option to leave all fixed price listings visible, but show a custom message that says you’re away and orders will be processed when you return. I wouldn’t recommend using this option as many people won’t notice the message and will purchase anyway, and then leave you negative feedback because they haven’t received their order when expected. Holiday-mode only applies to FIXED PRICE listings though so if you have any auctions running, just end them before you leave as you won’t be able to dispatch the items when auctions end.